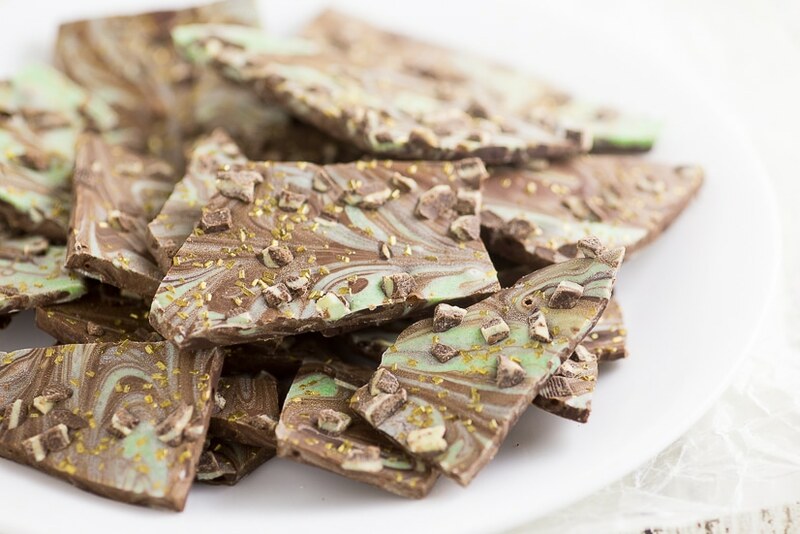 Easy Mint Chocolate Bark recipe with smooth, rich chocolate swirled with mint flavored white chocolate makes a quick, easy, and decadent dessert. 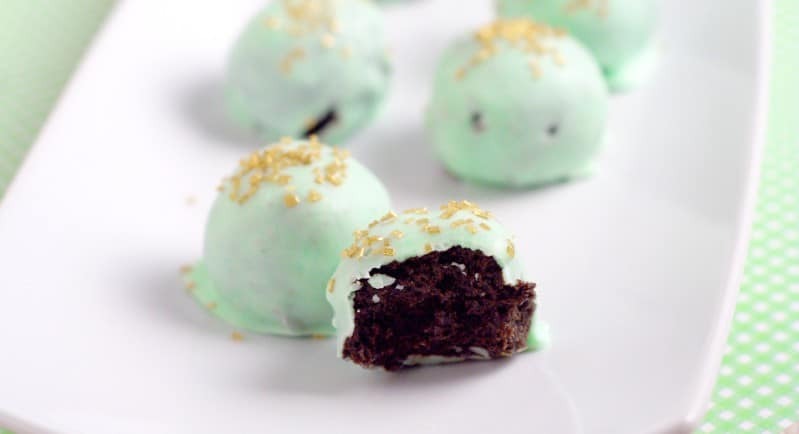 If you love mint chocolate, like those Andes mint chocolates, then you will LOVE this. 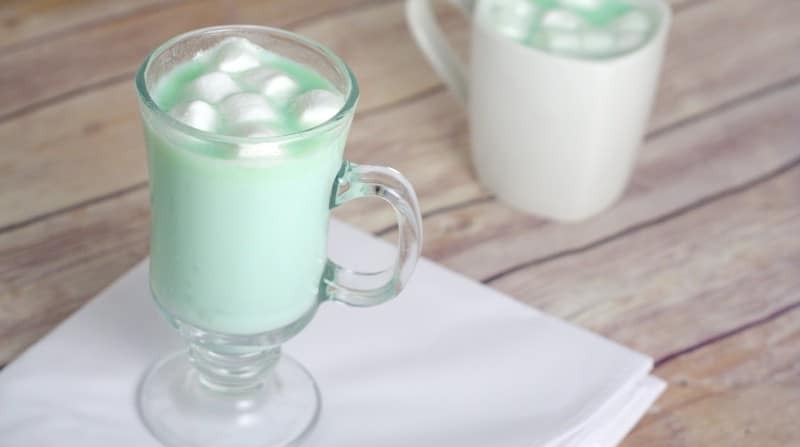 In the interest of full disclosure, I actually made this for Christmas this past year, but it was so good, I’m making it again for St. Patrick’s Day. 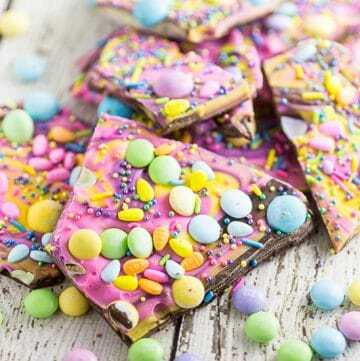 Any excuse for chocolate, right? If you’re wondering about the pretty gold sprinkles, they’re my new obsession. I found both the gold sparkle sugar and the tiny gold stars on Amazon. (I’ll leave the links for them below if you want to grab them too.) They’re just so pretty I want to put them on everything! 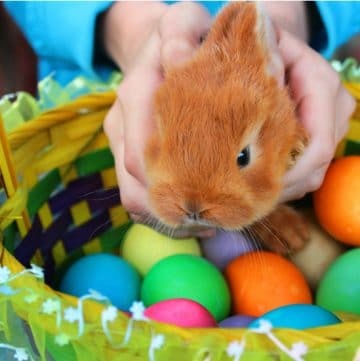 One more recommendation: use good chocolate. Like actual good chocolate, like high-grade baking chocolate, not chocolate chips. 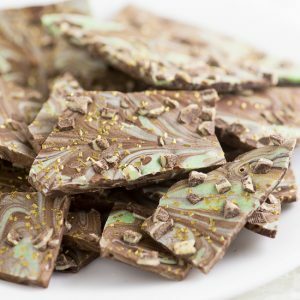 When the only ingredient is chocolate, you want it to be good quality. Chocolate chips have additives in them to make them hold their shape, so they’re not as good quality and not a good option here. Melt semi sweet chocolate in a microwave safe bowl in the microwave in 30 second interval, stirring between each interval to prevent chocolate from burning. Set aside. Repeat melting process in a separate bowl for white chocolate. 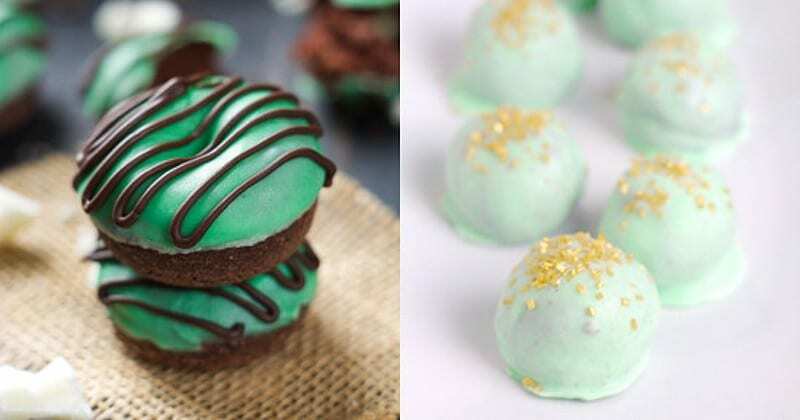 When white chocolate is melted, add green food coloring and mint extract. Stir to combine. Pour melted semi sweet chocolate onto the lined baking sheet. Spread evenly. 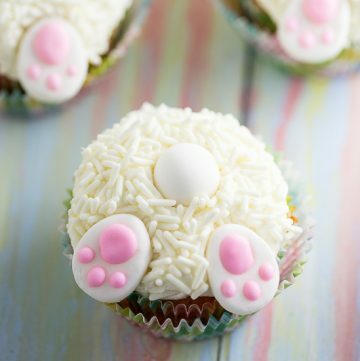 Scoop white chocolate into dollops on top of semi sweet chocolate. Just leave it clumps for now. 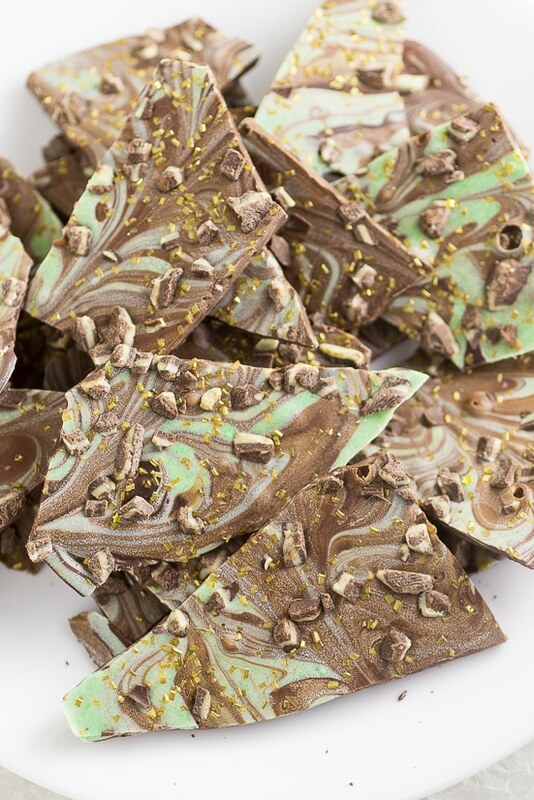 When all chocolate is in the pan, swirl together with a butter knife to get the marbling effect. Just place the knife all the way to the bottom of the sheet and gently swirl up and down, back and forth, or diagonally, until you achieve your desired look. 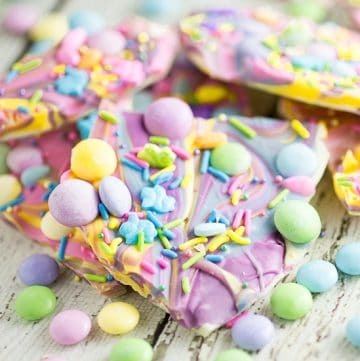 Sprinkle menthe baking chips and sprinkles on top. Let set for an hour, or until hard and solid. You can also place in the refrigerator or freezer to help set faster. Break into pieces once set. 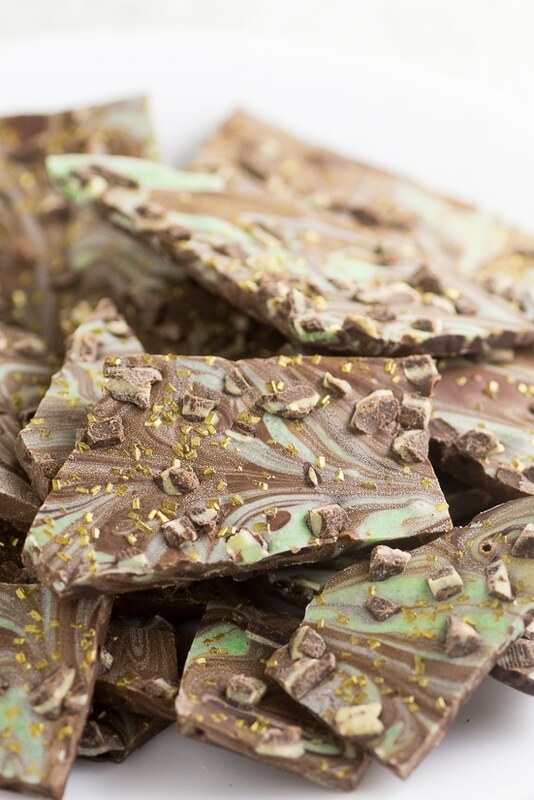 Did you like this Mint Chocolate Bark recipe? 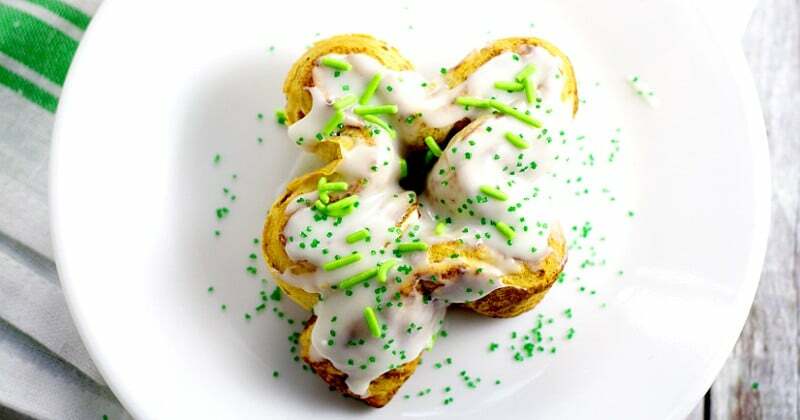 Find more on my Desserts, St Patrick’s Day, and Christmas Cookies boards on Pinterest!